Counter-Strike: Source (CS:S) is a multiplayer first-person shooter developed by Valve Corporation. Counter-Strike: Source was initially released as a beta to members of the Valve Cyber Café Program on August 11, 2004. 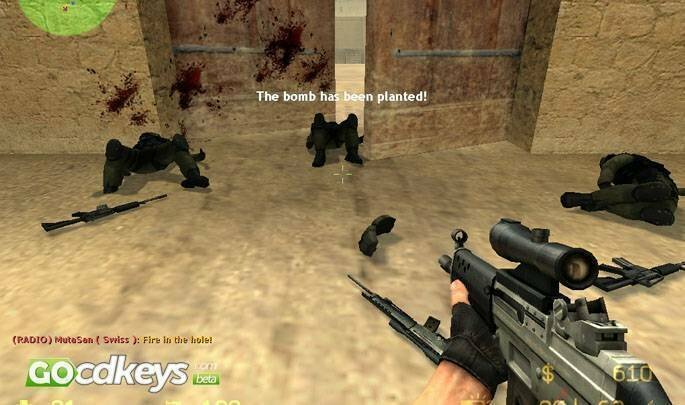 On August 18, 2004, the beta was released to owners of Counter-Strike. A complete remake of the original Counter-Strike on the Source engine. 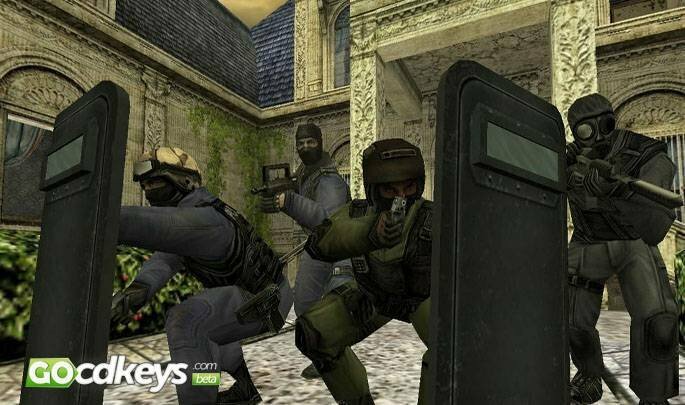 Counter-Strike: Source pits a team of Counter-Terrorists against a team of Terrorists in a series of rounds. Each round will win either by completing an objective such as detonating a bomb or rescuing hostages. Eliminating all members of the opposition before time is up. Aspects of the game that have changed from Counter-Strike include the behavior of the grenades, the physics engine, and the weapons’ recoil. The smoke grenades in Counter-Strike: Source spread much more slowly than the ones in Counter-Strike. The flashbangs, which now utilize DirectX 9 effects, have a much more pronounced effect and bounce very differently from the ones in Counter-Strike. Implements physics objects, such as filing cabinets, which the user can interact with while playing. Moving and shooting also differ noticeably from many other first-person shooters. Shooting while moving dramatically decreases accuracy, and holding the mouse button down to continuously shoot will generally produce severe recoil. The aim of playing a map is to accomplish a map’s objective. Many types of objectives that a map can have. The ultimate goal of the game is to win more rounds, which is accomplished by fulfilling the map’s winning conditions. Some winning conditions include defusing a bomb, planting a bomb and preventing of being defused by the other team. Rescue all the hostages on a map or preventing the hostages from being rescued. Defeat all the members of the opposing team. This game can be download on Steam.